The MTCH108 is a 8 channels Proximity/Touch controller with 8 simple digital outputs. The sensitivity and power mode can be configured. 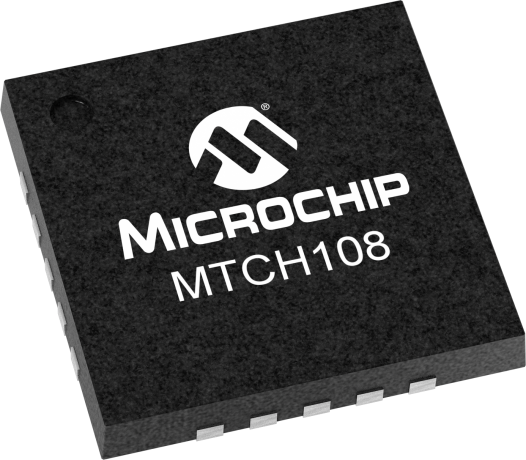 The MTCH108 device uses an advanced optimization algorithm to actively suppress noise from the signal to achieve reliable proximity/touch detection. This Evaluation Board provides an easy platform for evaluating the Capacitive Touch Controller MTCH108. It features different buttons sizes as well as a proximity sensor. Using active guarding, the MTCH10x family offers moisture/water resistance solution. The board is also compatible with MTCH102 and MTCH105.